Electric vehicle (EV) owners are uniquely positioned to save even more on the Hourly Pricing program. Hourly prices fluctuate throughout the day and are typically lowest overnight. Most EV owners already charge at night. When you enroll in the Hourly Pricing program, you can take advantage of lower prices and significantly reduce your car’s operating costs. Many plug-in hybrid and electric vehicles offer scheduled charging, so your car charges during the night. 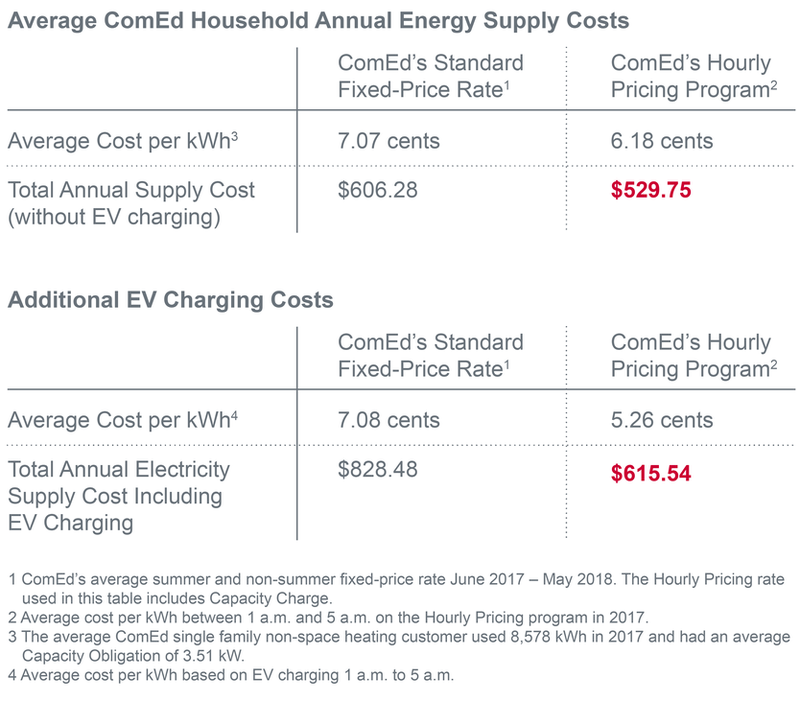 By setting your EV to charge between 1 a.m. and 5 a.m., when prices are typically lowest, you could save up to 26% compared to ComEd’s standard fixed-price rate. Compare the numbers below to see how much you could save on Hourly Pricing. Other ways to save include using major appliances, such as your dishwasher, during lower-priced hours. Don’t own an electric vehicle yet? Check out ComEd’s EV Cost Calculator to compare the estimated annual fuel costs and carbon footprints of electric and gasoline-powered vehicles. Plus, thanks to Hourly Pricing, getting an EV can be more attainable and cost-effective.